I wanted to spend some of the next several posts highlighting a few of the websites that I often reference or link to in this blog. The website that these links are most often referring or linking to is www.uppercervicalcare.com. 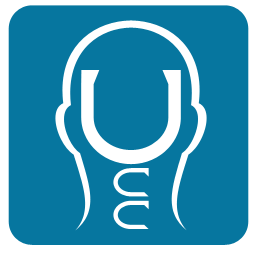 It is a very informative website and has a great deal of easy to understand and access information on upper cervical care. I wanted to highlight this website today because of its patient centered info and the short videos on the website do a fantastic job explaining all the ins and outs of care as well as answering many of the commonly asked questions. I also like it because it makes a point of saying that this care is not a treatment for all conditions or any particular condition. It states that when there is interference in the nerve system due to head/neck misalignment the body will not function as well as it should and that MAY be the reason why you haven't been able to heal from this, that or the other condition. The procedure carries little if any risk since there is no twisting of the neck and most upper cervical procedures are very gentle. Because of this, it is an option worthy of consideration if you have a problem that you have seen little results with other types of care or issues you have not had any care for yet. Some people also may find that periodic checks help the body to function more efficiently and express more of their potential for health. So check out the website and learn more about Upper Cervical Care.